 While success in the present may well be Ohio Concrete’s priority for its members, assurance of future business is a close second. Effective promotion requires a truly collaborative partnership with all industry stakeholders. Furthermore, it takes a coordinated effort on the local grassroots level. That’s why the focus of our promotion plan is on local promotion. Our promotion team is comprised of 4 different regional groups, covering Northwest, Northeast, Central/Southeast, and Southwest Ohio. Each region has a full-time promotional director dedicated to furthering the use of concrete in that area. In the past three years alone, Ohio Concrete’s promotion efforts have resulted in more than 1-million cubic yards of concrete for Ohio’s projects, including regular exterior, local streets, ODOT & OTC.